Sensational! Presents like a show home out of a designer magazine! High end renovation finished in 2016. 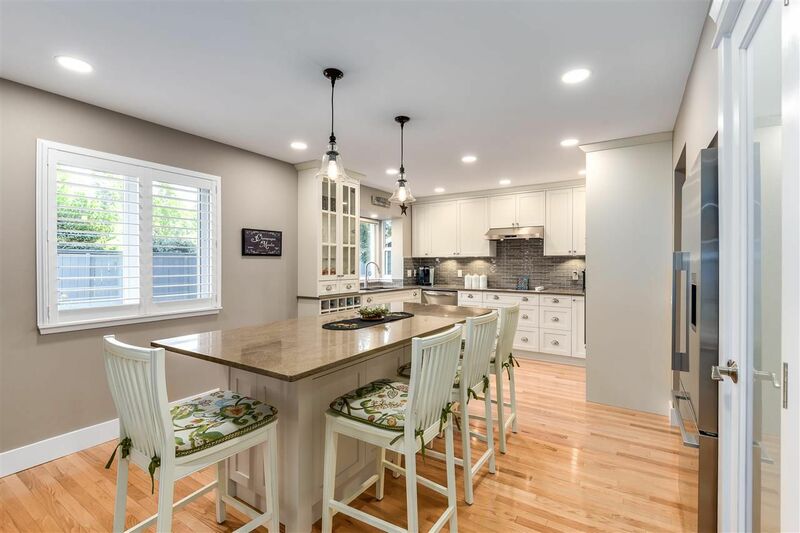 Open concept living with gourmet kitchen featuring bright white, soft close cabinetry, stone counters and gleaming stainless steel appliances. Sunken family room with built in storage and zen fireplace. French doors lead you out to a peaceful and private fully fenced backyard. Main floor formal living/dining area for all of your entertaining needs. Up features a MASSIVE master bedroom with impressive walk in closet and newly renovated ensuite. 2 more bedrooms with loft and office to offer quiet corners for children or work space. New windows with screens and California shutters, new furnace and high end carpentry finishings top off this home to make it a 10 out of 10. Prestigious IB program at Bayridge Elementary and Semihamoo Secondary. Call now for your private showing!